Local home sales and prices kept rising at a rapid clip in August, continuing a six-year trend that has made homeownership increasingly difficult for San Antonio’s middle class. Last month, 3,236 homes were sold in the San Antonio-New Braunfels metro area, an increase of 9.4 percent over August 2017, according to data from the San Antonio Board of Realtors. The market has grown nearly every month since summer 2011, driven by the Alamo City’s healthy economy and rising population. The median price of a home in the metro area was $231,200 in August, a 5.6 percent increase from $218,900 a year earlier, according to SABOR. A shortage of construction workers and a tight supply of homes on the market have led San Antonio’s home prices to surge in recent years: Six years ago, in August 2012, the median local price was $161,400, which is 43 percent lower than last month. The supply of homes on the market remains tight as developers struggle to build homes in the moderate price range that local residents want — a problem that plagues major cities across the U.S. The National Association of Realtors reported in August that sales of existing homes fell in July for the fourth straight month to the slowest pace in more than two years because high prices had reduced demand. The local area’s inventory of available homes, a closely-watched statistic that measures the average time it takes for a home to be sold if no new homes are listed, was 3.7 months in August, according to SABOR. That is slightly looser than August 2017’s inventory of 3.6 months, but still extremely tight by historical standards; an inventory of six months indicates a balance between buyers and sellers. Yun noted in NAR’s news release that in some large metro areas, such as those of Denver, Seattle and Nashville, the number of home listings is increasing, which could slow down price growth. 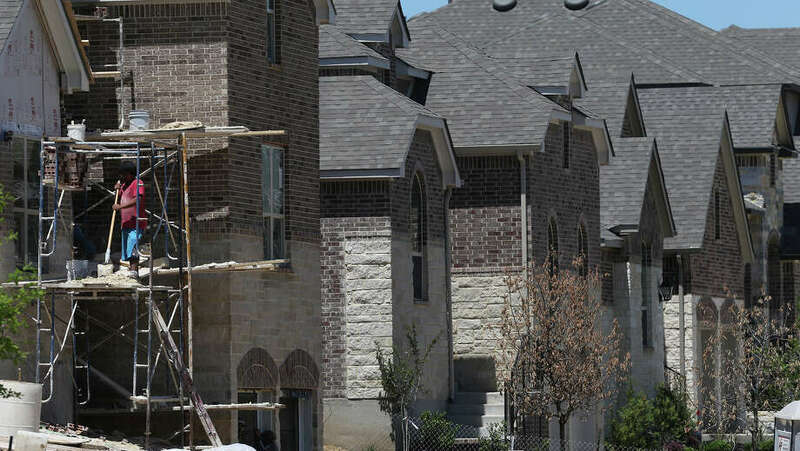 There are signs that supply could loosen up in San Antonio as well: economist Jack Inselmann recently reported that local builders started construction of 3,271 homes in the second quarter of this year, a 9 percent increase from the same period in 2017. San Antonio is on track to set another sales record this year after a record 30,692 homes were sold in 2017. Between January and August, 22,550 homes were sold in the metro area, which is 7.8 percent higher than at the same time in 2017, according to SABOR’s data. Mortgage interest rates have leveled off since April after rising for six months to their highest level in four years. The national average for a 30-year fixed-rate mortgage was 4.54 percent last week, up from 3.8 percent in September, according to Freddie Mac. Mortgage rates remain below historical norms; they were higher than 6 percent for much of the 2000s and above 9 percent for much of the ’80s and ’90s. Yet this year’s rise in mortgage rates has hurt sales nationally, Yun said in NAR’s news release. “In addition to the steady climb in home prices over the past year, it’s evident that the quick run-up in mortgage rates earlier this spring has had somewhat of a cooling effect on home sales,” he said.